This autumn Japan Museum SieboldHuis will present highlights from the Leiden University Library Collection in the exhibition ‘Mapping Japan’. 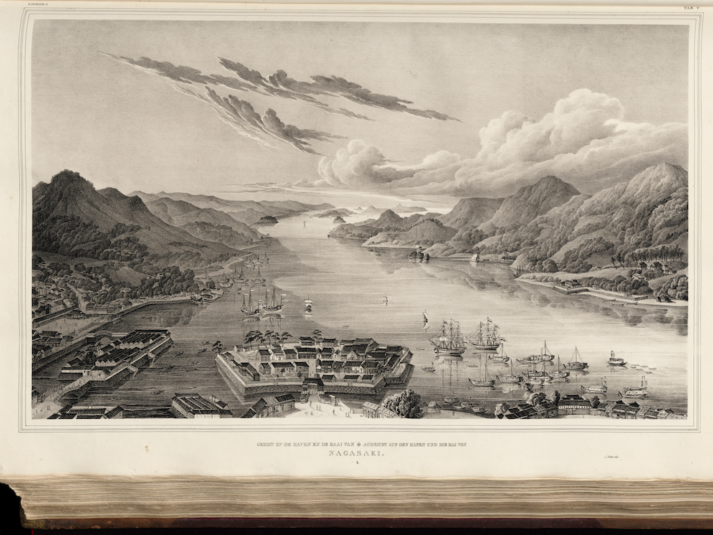 With its travel logs, illustrated atlases, colourful maps, travel routes, etches and a host of other historic documents, this exhibition will take you on a journey to the Japan of the 18th and 19th centuries. The impressive scroll painting of the Japanese coast and the personal maps belonging to Philipp Franz van Siebold (on display for the first time) are unquestionably the highlights of this exhibition. Siebold’s hand written notes on these maps are evidence of his eager and diligent study of Japan. He was keen to document his travels in Japan, to explore unknown regions on paper and learn more about Japan. Unfortunately Siebold’s fascination for maps also got him into trouble. In 1829 he was found guilty of spying (for being in possession of maps) and banished from Japan. Siebold arrived in Japan at the beginning of the 19th century, at a time that Japan was closed from the western world. From 1633 – 1853 permission was required for all persons wishing to enter and leave the country, exceptions were however made for the Chinese and Dutch traders. 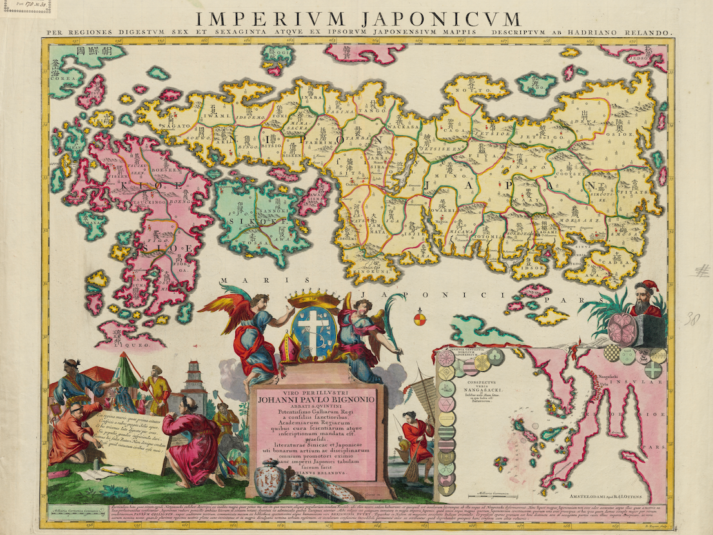 Japanese maps were state secrets, they were of vital importance to Japan, her borders and position in the region. Yet it was in Japan’s interest that the country and her borders be further explored. The impact foreign influence had in this respect can be seen in a number of maps in the exhibition. The international exchange of knowledge and geographic information together with the methods and techniques of the time, led to a significant development in cartography. Traces of these developments are to be found on the maps and in the travel logs in the exhibition. ‘Mapping Japan’ is divided into 5 main themes. Attention will be given to the clarification of areas of mutual interest, Siebold’s assistant Johann Joseph Hoffman (the world’s first professor of Japanology) and the Siebold Incident. Running parallel to this exhibition is ‘Modern Japanese Lacquerware’ displaying the works of 11 renowned Japanese artists.